Donald “Orly” Arlyn Parker Sr., 85, passed away April 3, 2018. He was born August 15, 1932 at home in Edgewater, Colorado to Frank and Marjorie (Bullock) Parker. Donald began working with his father operating heavy equipment which he continued throughout his life with various companies. 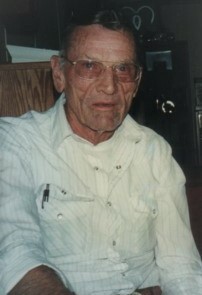 He was a member of Operating Engineers Local 9 for 61 years. Donald is survived by his daughters Kelly (Mark) Kinnear, Kim (Randy) Case and sons Donald (Sherry) Parker and Dennis (Rhonda) Parker of Colorado. He is also survived by his brother Marvin Parker, a sister, 12 grandchildren, 18 great grandchilden and 1 great-great grand child. He was preceded in death by both his parents and his brother Bill Parker. Viewing will be held Friday, April 6, 2018 from 3:00 to 7:00 at Erlinger Cremation & Funeral 806 Denver Ave, Fort Lupton, CO 80621. Burial will be Saturday, April 7, 2018 at 11:00 at Arvada Cemetery, 5581 Independence Street, Arvada, CO 80002. In lieu of flowers, donations can be made to AccentCare Hospice, 1180 Main St., Suite 9, Windsor, CO 80550.